My Right Eye: You're already carrying the sphere! 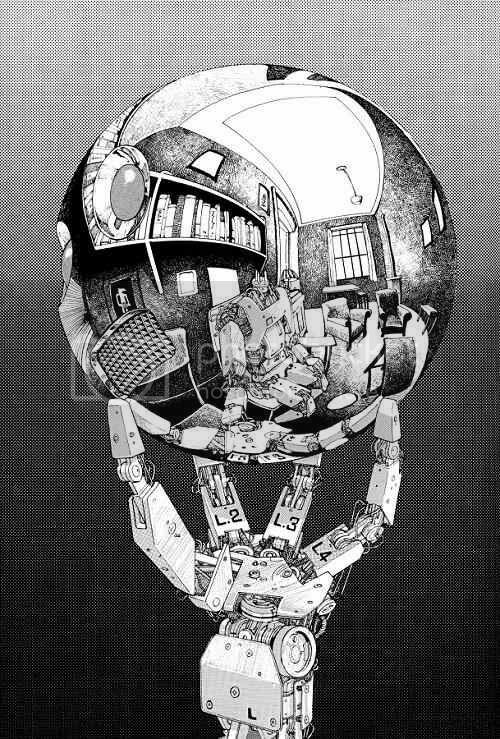 A little Escher-inspired imagery for your enjoyment. It did take me a moment to catch on to what exactly is being held here. On a mostly unrelated note, what the hell is the quote "You're already carrying the sphere!" from? I titled this post that, because it sort-of fit, but I've seen it in at least two* other places (one of which being a tag-file from the old command-line-interface days, so whatever it is, it has been around for a while). My powers of Google (other than to find other random repetitions) have failed me in this instance.